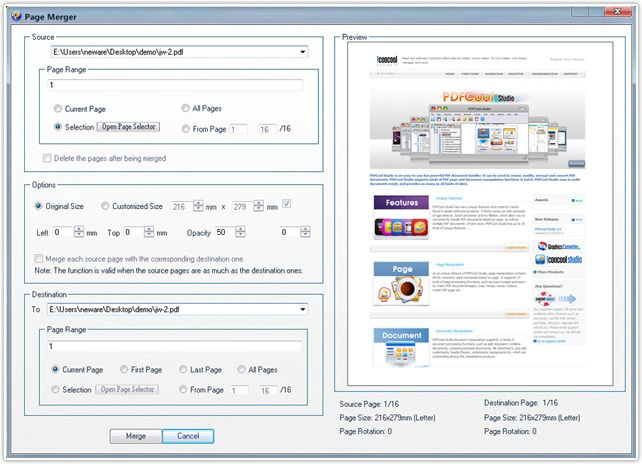 PDFCool Studio provides an easy way to merge the selected pages of a PDF document into a single page or multi pages. Note: If the selected source pages number are as much as the destinations, you can check the option "Merge each source page with the corresponding destination one." 5. Click on the Merge button and finish the merge process.